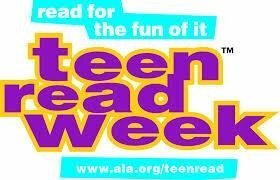 Oct. 8th-12th HMS will be celebrating “Teen Read Week”. The library will be sponsoring two events to promote teen reading. The first event is a pumpkin decorating contest. Rules for this contest are listed below. Each pumpkin will be displayed in the library until the end of October with a jar. Students can vote throughout the month for their favorite pumpkin with money/change. The pumpkin that raises the most money for the library will win a $10.00 gift card. All funds raised will be used to purchase new library books for our students. The second event is a contest to guess how many books are in the HMS library. Students can fill out a guess form in the library from Oct. 8th-12th and the winner (closest to actual number of books without going over) will win a $10.00 gift card. Please encourage your students to participate in this events and encourage them to READ, READ READ! Let’s celebrate Teen Read Week and have some fun with books! Must be decorated like a character or theme from a book and must have a form filled out with the title of the book, author and character/theme of the pumpkin to be entered into the contest. Pumpkin forms can be picked up in the library or printed from the "latest news" section of our website. Winner will receive a $10 gift card! Pumpkins can be turned in to Mrs. Tew during the week of Oct. 8th-12th, 2018. No pumpkins will be accepted after Friday, October 12th.